Workstation furniture has come a long way in offering different configurations based on use of the work station, the space, style, and the personnel using the system. Here on our site we have a sampling of some of the options to give you an idea of what can be done. Contact us today and let us know what your needs are. We carry products from Dell, HP, and IBM. 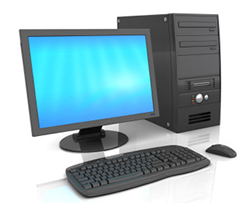 Our digital imaging solutions include the PC workstation that will have the imaging software installed and configured on it. 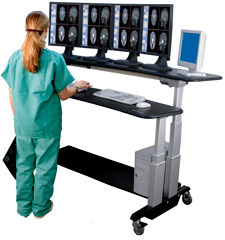 Need a secondary workstation? Whatever the need is, just to check the worklist, or burn CD/DVDs we can set your facility up with secondary systems that will have the power to do what is needed. Systems are always changing, so contact us so that we can get you a great solution!